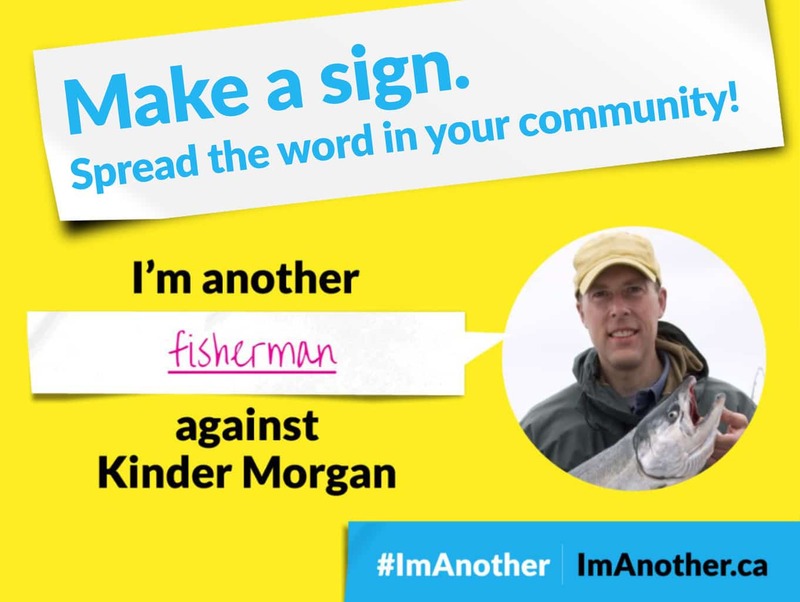 Would the proposed Kinder Morgan pipeline risk British Columbia drinking water? This page summarizes information from a Tsleil-Waututh Nation report that assesses the proposed Kinder Morgan pipeline and tanker project. You can read and download the full report here. 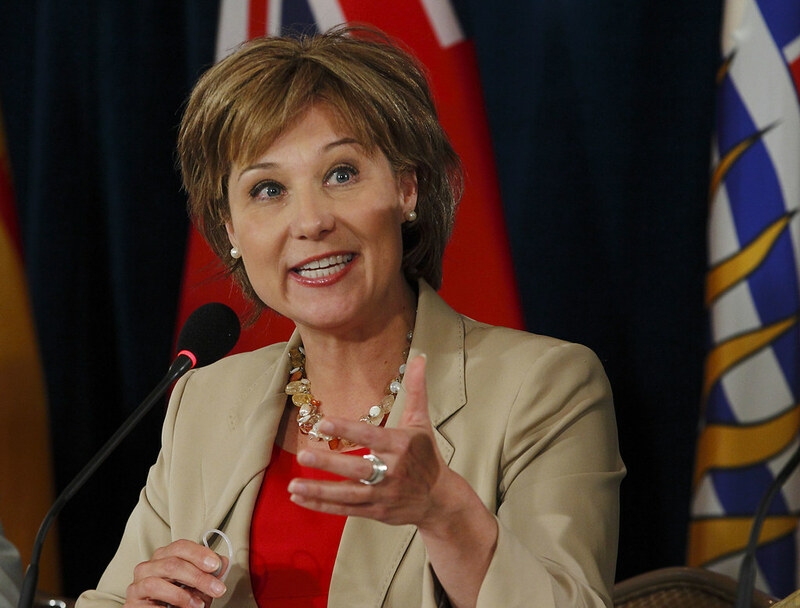 Yes, the proposed pipeline would endanger some of our local sources of drinking water, and threaten Burrard Inlet and the Fraser River in various locations. In some communities, the pipeline would threaten the only water source they have available. The existing and proposed pipelines would transport diluted bitumen directly over the aquifer. This aquifer is particularly susceptible to being polluted, as oil that is spilled elsewhere may contaminate the water source by mixing with rainfall (City of Abbotsford). Citizens and businesses depend on adequate, uncontaminated groundwater supplied by this aquifer, and a spill that contaminates the aquifer would mean an immediate threat to public health. The proposed pipeline runs through the recharge zone that feeds the Coldwater aquifer, located near Merritt, BC. The Coldwater Indian Band relies on the Coldwater Valley watershed and Coldwater aquifer for drinking water and irrigation (From the Merritt Herald). According to Chief Lee Spahan, the aquifer could never be remediated to potable standards once contaminated by a pipeline spill or release, meaning the Band would never be able to access their drinking water again (From TWN). The 37 conditions include measures that Kinder Morgan has to take when an oil spill happens. (It is estimated that there is a 79-87% chance of an oil spill over the next fifty years). “In the event that a spill originating from the Project is confirmed to have contaminated drinking water [Kinder Morgan] must provide one or more alternate source(s) of drinking water for all persons who use water for human or animal consumption from the contaminated water source for the period of time during which contamination exists” (Table of Conditions for an Environmental Assessment Certificate, Condition 26). With this condition, the provincial government clearly acknowledges the very real threat that the proposed pipeline poses to water in British Columbia, yet it approved the pipeline project regardless. 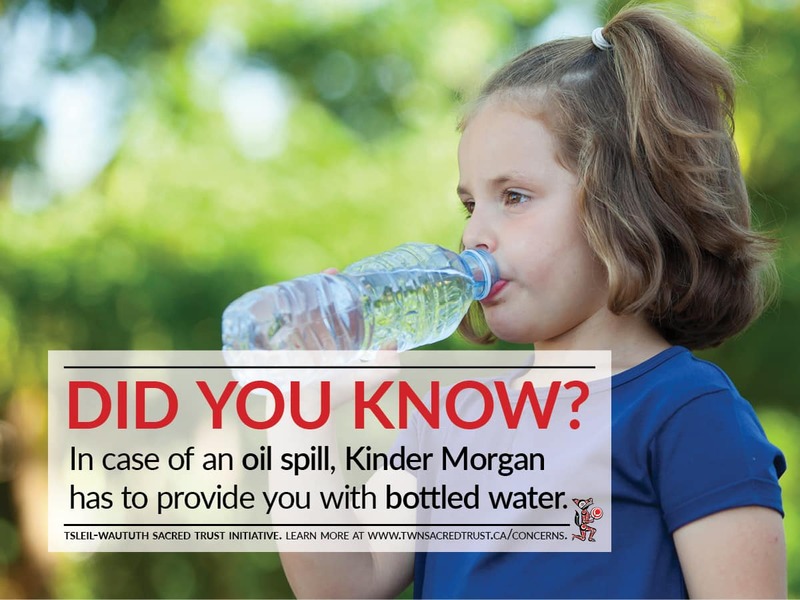 To require Kinder Morgan to provide bottled water while water sources remain contaminated is neither a realistic nor sustainable solution to the problem. We have the chance to defend our children’s health and future by stopping the proposed Kinder Morgan pipeline. Click here to learn more.